Created digital solution for the inaugural Adelaide Fashion Festival supported by Vogue Australia, celebrating local fashion and design in Rundle Mall. For the first time this year, Vogue Australia supported the festival with the inaugural ‘Vogue Festival’ held in Rundle Mall, turning the shopping district into a fashion mecca. Over two days, the festival was packed to the brim with runway shows, special offers, prizes, giveaways and styling sessions throughout Rundle Mall. The launch of the Festival coincided with Day 3 of the Adelaide Fashion Festival and was officially launched by Edwina, Jennifer Hawkins and Mayor Haese, in Gawler Place. Supported by the Festival was Vogue Australia editor-in-chief Edwina McCann and City of Adelaide Lord Mayor Martin Haese, and included high profile attendees such as model Jennifer Hawkins and the Vogue Australia editorial team. Rundle Mall Management Authority acquired us to create a digital marketing strategy to create awareness about the events and competitions surrounding the Festival, and the conception of a vending machine with very specific steps. This was a custom development which entailed quite a bit of back end development. 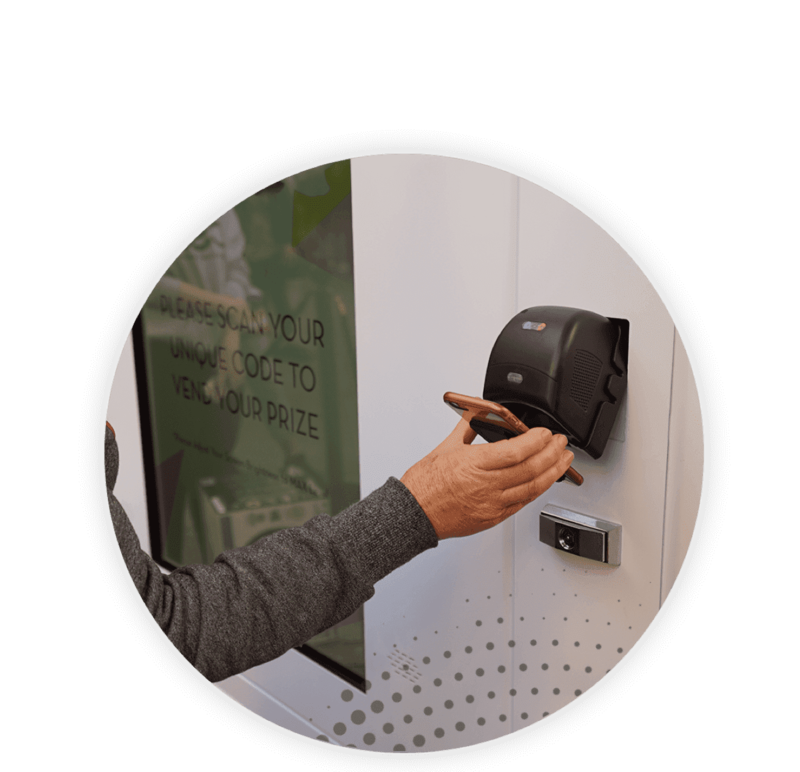 The consumer would be required to follow Rundle Mall’s Instagram page, and the user would then be provided with a unique QR code which would be scanned upon visiting the vending machine in Gawler Place and would dispense an envelope with a prize. The vending machine project also meant the creation of landing pages on the Rundle Mall website. 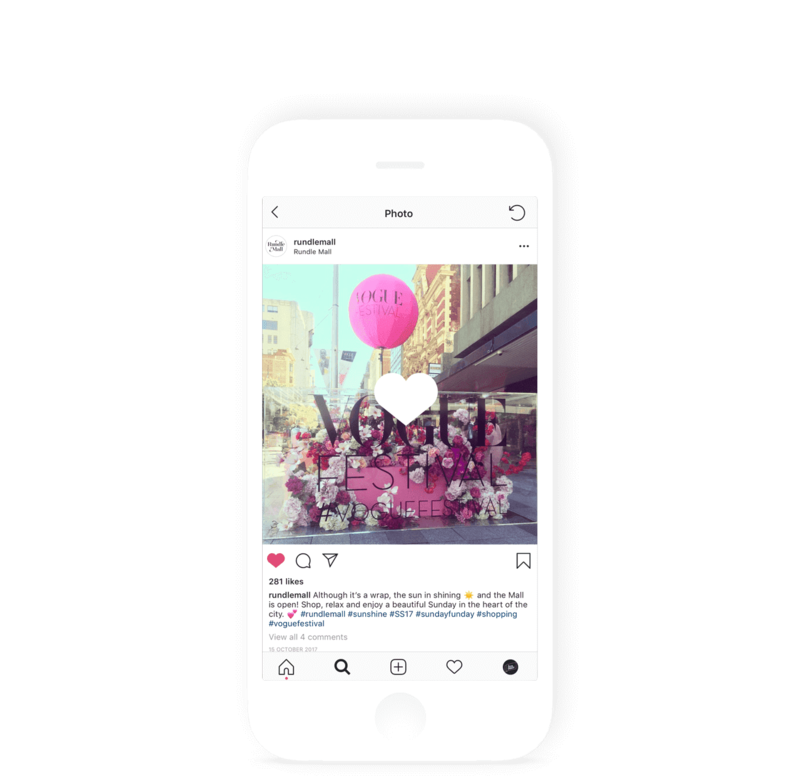 The second role the marketing team provided was the social media marketing and creation of the two competitions on Rundle Mall’s social channels and via competition channel, Viral Sweep. A digital strategy was created to ensure the engagement and awareness would create excitement and drive traffic into the Mall, and to two different competitions, for the two-day festival. The strategy included sneak peaks and teasers, as well as two different posts for both the vending machine competition and the Viral Sweep competition which gave the winner the chance to win a trip to a fashion destination of choice. On top of this, the marketing team were required to cover the event and manage both the Instagram and Facebook pages content for the launch of the festival and provide enough content for the weekend. Both the digital campaign and vending machine project took quite a lot of strategic planning and research to ensure both would run smoothly and achieve their goals. Each goal was given a deadline to establish timeframes, and research was conducted and discussed with the stakeholders, such as Rundle Mall’s digital team, our developers, our strategy and solutions architect and marketing team. While covering the event, one of the challenges that arose was providing content not only for the Instagram and Facebook pages, but also enough to post over the following weekend. This meant a plan needed to be actioned. The success of the event was evident from both the results from the QR code redemptions and the social media growth. Through the strategy and and running the campaigns in conjunction with the compeitions, the Vogue Festival was able to gain traction, and the results speak for themselves. Before the festival began, the Instagram account had 13,385 followers. The account now has 14,495, an increase of 8.3% in three days. QR codes were generated 1088 times and there was 937 redeems which is an amazing result. The Viral Sweep competition had almost 4,000 entries. The amazing results from the digital campaigns show that they reached 395,108 people and had an extremely low cost per click of $0.004, which is an incredible result. The Rundle Mall team were extremely thrilled with the result from both the vending machine and digital marketing strategy.